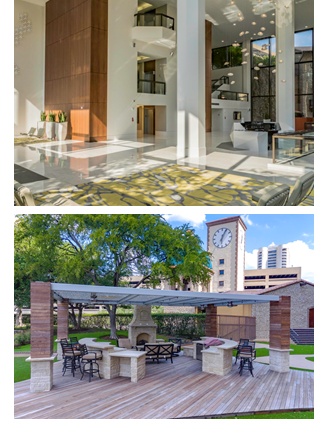 ​ ​IRVING – Mandalay Towers has completed renovations on its 800,000-sf campus and has signed two new office tenants spanning three full floors. The $6 million renovation included the lobbies, the conference room, fitness centers, and the tenant lounge. Mandalay Park, the one-acre greenspace that connects the campus’ three towers, has been entirely redesigned.